Music is a big part of our lives. But if you teach, there’s a chance, it’s an even bigger part of your student’s life. In this post, we’ll see if we can sharpen up your use of music. You’re likely to have a bit of time this summer to work on your music, since the school year gets pretty hectic. 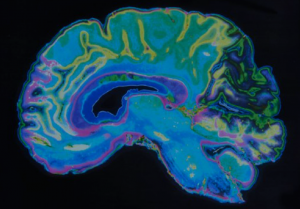 Next month, we’ll show you the newest Alzheimer’s disease interventions. We know that music tickles the reward centers in the brain just like other pleasurable, but evolutionarily significant, experiences. It also appears that music rewards the listener to the degree that the music is found to be pleasant. There are many studies which suggest that the right music can influence the brain’s reward neurotransmitter, dopamine. The beauty of this is that classroom learning can get associated with positive feelings. Why is this important? Two reasons come to mind: 1) emotional learning supports long-term memory, and 2) when positive emotions are associated with school, kids attend classes more and are more likely to develop a love of learning. Unlike a concrete reward, music can arouse feelings of euphoria and pleasure. Scientists used PET scans and found endogenous dopamine release at peak emotional arousal during music listening (Salimpoor, et al. 2011). The time course of dopamine release was also curious; dopamine was more involved during anticipation of the music, and then again at the experience of peak emotional responses. Put in teacher terms, even the anticipation of an abstract reward (listening to the music for pleasure) can result in dopamine release, distinct from that associated with the peak pleasure itself. By the way, dopamine release is highly beneficial for several things. One, it fosters a love of learning; second, it supports working memory. Both of those are very good in a classroom! On the other hand, unpleasant music seems to involve a different region of the brain. In another study, scientists played music that contained dissonant chords varying in their degree of unpleasantness. They used brain imaging technology to observe and measure changes in brain activity as participants listened to the music. They found that the more dissonant the music, the less pleasant the participants reported the experience. Additionally, patterns of brain activity emerged that were consistent across subjects. Most active during the more dissonant sections of the music was a site in the brain that is physically situated between the cortex and the limbic system. Known as the paralimbic cortical area, this region mediates between cognition and emotion. The choice of music you use DOES matter; not all music is good! Another study found the effect of different frequencies of music on brain function. We know music can affect dopamine from the study above. But this study demonstrated that the capacity of music to affect blood pressure is specific to the music. The actual blood pressure-reducing response was dependent on the frequency of the music, and was markedly greater at higher compared with lower frequencies. These findings suggest that music containing high-frequency sounds stimulates dopamine synthesis, and might thereby regulate and/or affect various brain functions (Akiyama and Sutoo, 2011). In general, music with certain rhythms, helps us feel better. Prior, older music that we liked, re-activates those positive feelings. High-energy music activates our brain’s “uppers” that we call amines (norepinephrine and dopamine). Learning how to activate these positive feelings is a part of every good teacher’s job. The artful use of music makes it easy and way more fun to learn! There are many ‘right ways’ to use music. At the end of a day’s work, I get asked for my music list so often, I wrote a whole book full of the playlists in Top Tunes for Teaching (Corwin Press). Having said that, when and how the music is used is as, or more, important than which music is used. Baroque (consistent background music for seatwork, chosen for these two characteristics: 1) played in a major Key, and 2) an orchestra is used, not just a few violins or trumpets that stand out. Here, I’ll give you some of my favorites. Akiyama K, Sutoo D. (2011) Effect of different frequencies of music on blood pressure regulation in spontaneously hypertensive rats. Neurosci Lett. Jan 3;487(1):58-60. Bardo, M. T. (1998). Neuropharmacological mechanisms of drug reward: Beyond dopamine in the nucleus accumbens, Critical Reviews in Neurobiology, (12), 37-67. Berridge, K. C. & Robinson, T. E. (1998, Dec). What is the role of dopamine in reward: Hedonic impact, reward learning, or incentive salience? Brain Research Review, 28(3), 309-69. Blood A. J. & Zatorre, R. J. (2001, Sept). Intensely pleasurable responses to music correlate with activity in brain regions implicated in reward and emotion. Proceedings of the National Academy of Sciences (USA), 98(20), 11818-23. Breiter, H. C., Gollub, R. L., Weisskoff, R. M., Kennedy, D. N., Makris, N., Berke, J. D., Goodman, J. M., Kantor, H. L., Gastfriend, D. R., Riorden, J. P., Mathew, R. T., Rosen, B. R., & Hyman, S. E. (1997, Sept). Acute effects of cocaine on human brain activity and emotion. Neuron, 19(3), 591-611. Salimpoor VN, Benovoy M, Larcher K, Dagher A, Zatorre RJ. (2011) Anatomically distinct dopamine release during anticipation and experience of peak emotion to music. Nat Neurosci. Feb;14(2):257-6. Zatorre, R. J. (2003, Nov). Music and the brain. Annals of the New York Academy of Sciences, 999, 4-14.